The Sunroc DF-7241 Drinking Fountain two station unit shall be a white powder coat painted cast aluminum wall mounted drinking fountain. One-piece stainless steel bubblers shall be activated by front mounted push buttons. Water regulation adjustments shall be accessible from the front of the fountain. Fountains shall be furnished with a bottom cover plate, 1 1/2 low inlet brass trap and built-in strainer. 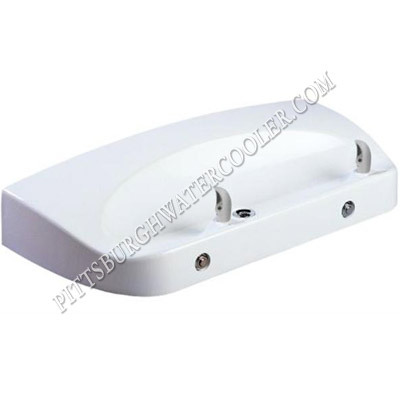 Cast aluminum dual station drinking fountain for direct connection to a cold water supply or to a remote water chiller. Fountains shall comply with ANSI 117.1 and ADA.